Indiana State University recognized four outstanding graduates with Distinguished Alumni Awards during 2012 Homecoming activities. The ISU Alumni Association presents the awards annually in recognition of notable achievements that bring honor and distinction to the university. The awards honor living alumni who have been outstanding in their professional achievements, have made significant achievements and/or have made significant contributions to their community, state or country. Chicago native Bernard Glasser grew up in what he calls "the movie generation." He fell in love with motion pictures at an early age, but World War II interrupted his dream of a movie career. 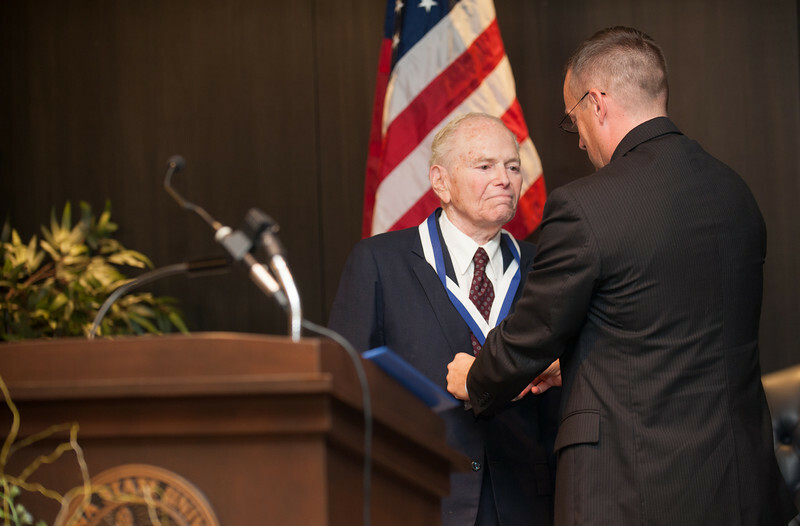 He attended Indiana State in 1943 as a Navy reservist, graduating with the 20th class of midshipmen. Glosser went on to complete a B.S. in education and moved to Los Angeles, where he found work as a substitute teacher. On days he was not called to fill in for a teacher, he looked for a job in the movie industry and eventually found a position as a production assistant. In 1949, Glasser borrowed $50,000 from his landlord and produced his first movie, "Gold Raiders," featuring the Three Stooges. He went on to produce five pictures for 20th Century-Fox and one for Universal as well as two television series. Through the years he and his wife Joan have continued to support Indiana State. They were the main donors and the driving force behind the "Sailor with Books" statue on the campus, commemorating the V-12 program that trained more than 1,600 ISU students and more than 60,000 nationwide as Navy and Marine Corps officers. Glasser retired from the motion picture business in 1970. He and Joan make their home in Los Angeles. "A great university is not composed of bricks and mortar. It also is composed of staff that dedicates itself to the students that they serve," Glasser said in accepting the award. "I would like to pay homage to two professors who changed the course of my life: Dr. Richard McDade and Dr. Clarence Morgan." Noma Gurich, who was born in South Bend but has lived in Oklahoma City for 34 years, graduated from Indiana State in 1975 with a bachelor's degree in political science and a minor in history. She is a 1978 graduate of the University Of Oklahoma College Of Law. She was in private practice for 10 years before being named in 1988 to serve as a workers' compensation judge. In 1998, she was appointed to the Oklahoma County District Court bench and won a contested election that fall to keep her position. She went on to be re-elected without opposition in 2002, 2006 and 2010. In 2011, Gov. Brad Henry appointed Gurich as only the third woman to serve as a justice of the Oklahoma Supreme Court. She has received numerous Bar Association awards and is a three-time Oklahoma City Journal-Record Oklahoma Woman of the Year. The Oklahoma Chapter of the American Board of Trial Advocates named her Judge of the Year in 2011. Gurich is past president of the William J. Holloway, Jr. American Inn of Court (2007-2008) and she continues as a master member of the Inn. She is past president (2006-2007) of the Kiwanis Club of Oklahoma City and was only the second woman president of the 90-year-old club. She serves annually on the application screening committee for the Oklahoma School of Science and Mathematics. She is married to John E. Miley, general counsel of the Oklahoma Employment Security Commission. Since 2007, they have been guardians of two teenaged nieces. "Indiana State University ... changed my life," said Gurich. A graduate of Penn High School in Mishawaka who became acquainted with the university as a high school Summer Honors student in 1970. She attended Indiana State on a scholarship, majoring in political science. Professor William Matthews made her assistant director of the pre-law advising clinic as a way of grooming her for law school while history Professor Don Layton's classes about Russia helped her develop a love for that country, then known as the Soviet Union, she recalled, noting that her heritage is Croatian. At Indiana State, Gurich said, she learned how to study, to emphasize her strengths and to "not let the things that are negative stop you ... I would not be anywhere close to where I am had I not come to this school." Gurich's home contains a shrine to Indiana State, complete with a Larry Bird bobblehead doll and a piece of the floor from Hulman Center. "That's not only important because Larry Bird played on that floor (but) because I marched on that floor," Gurch said, citing her experience playing in the Sycamore Marching Band for the dedication of the building. Quentin P. Smith was born in Texas but at an early age he moved with his family to Northwest Indiana. He graduated from ISU in 1940 with a degree in social studies education. After teaching for two years at Roosevelt High School in Gary, and following the outbreak of World War II, Smith joined the war effort. While most of his colleagues yearned to fly, Smith had to be talked into signing up. In the 1940s, all military planes were assigned to white pilots, so Smith flew "primary" planes or service aircraft and served as a flight instructor for "primaries" at Tuskegee Institute. Later, since he was too big for a fighter plane, he became a bomber pilot. It was difficult at first to assemble a full crew, though, as black pilots were not allowed to command white crews. After spending time at Fort Knox, First Lt. Smith was transferred to Freeman Field at Seymour Ind., where he made military history. Smith and 100 other black officers were arrested for defying orders not to enter the base's officers club. The Army sent the officers to Fort Leavenworth but that Kansas base was not prepared to handle so many African-American detaineesso they were sent back to Freeman Field. Thurgood Marshall, an NAACP attorney who would go on to become the first African-American Supreme Court justice, won the release of Smith and his fellow officers. Two years later, President Truman integrated the military but it would take more than 50 years for the officers' service records to be cleared. 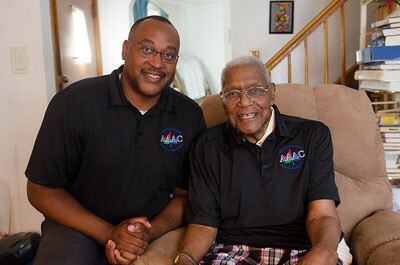 After Smith's military flight career, he returned to teaching and served as a guidance counselor and school principal. He earned a master's degree in English, and became director of secondary education for the Gary school system. Smith is a member of the Tuskegee Airman 477th Composite Group, has received the Gold Medal of Honor and Congressional Medals of Honor. He is a member of the Chicago chapter of Tuskegee Airman, Organization of Black Pilots and sits on several aviation and education boards. Smith was unable to attend the awards ceremony due to illness. Terre Haute native Linda E. White is president and CEO of Deaconess Health System, which includes six acute care hospitals and provides healthcare to about 1 million people in southwestern Indiana, southern Illinois and western Kentucky. She has been an administrator at Deaconess since 1987 and has served as the system's CEO since 2002. She is a fellow in the American College of Healthcare Executives. White is a 1970 ISU graduate with a bachelor's degree in mathematics. She went on to complete a bachelor's degree in nursing and an MBA from the University of Evansville. Her civic and community involvement includes a long list of local organizations. She has served on the boards of directors of Leadership Evansville, YWCA, YMCA, the Ark Crisis Nursery, United Way of Southwestern Indiana and Junior League. She is a member of the board of directors of the Boys and Girls Club of Evansville and the Chamber of Commerce of Southwest Indiana. She represents Deaconess Health System on the Evansville Regional Business Committee. She is the immediate past president of the Indiana Hospital Association Board of Directors and chairman of the board of VHA Central CEOs. She is also on the boards of Old National Bancorp and the University of Evansville. She received the city of Evansville's Athena award in 2001. White said she accepted the award on behalf of her entire family as well as the university's dedicated faculty and staff. 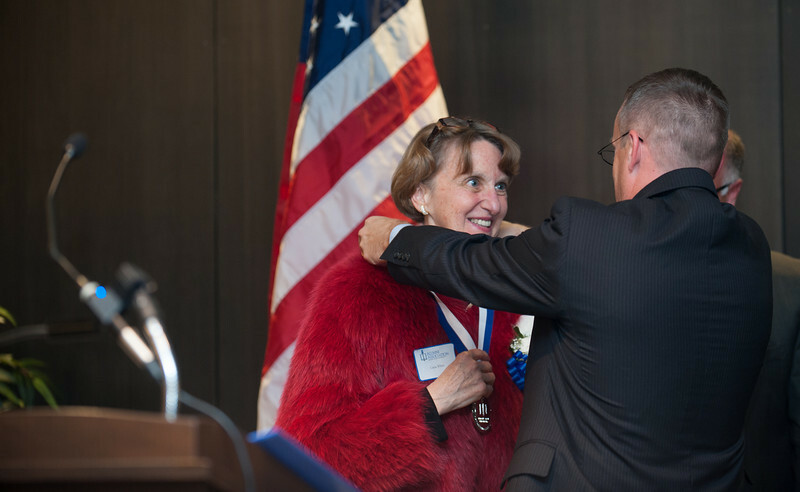 Her parents, John and Elizabeth White, raised their three children "with the idea that education was the most important thing that you could ever achieve," she said, noting that her mother was also an Indiana State graduate. 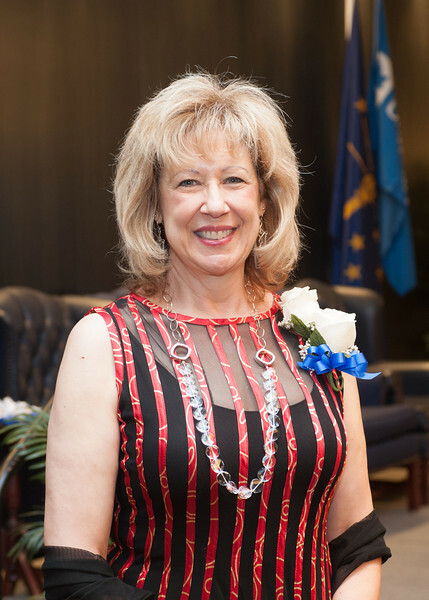 "The traits of John and Elizabeth White and the traits of Indiana State University are prevalent every day in southern Indiana," she said. "Every day at Deaconess Health Systems, the 5,000- plus employees are subjected to the things that were learned at Indiana State. The culture is there, living and breathing within our health system," she said. 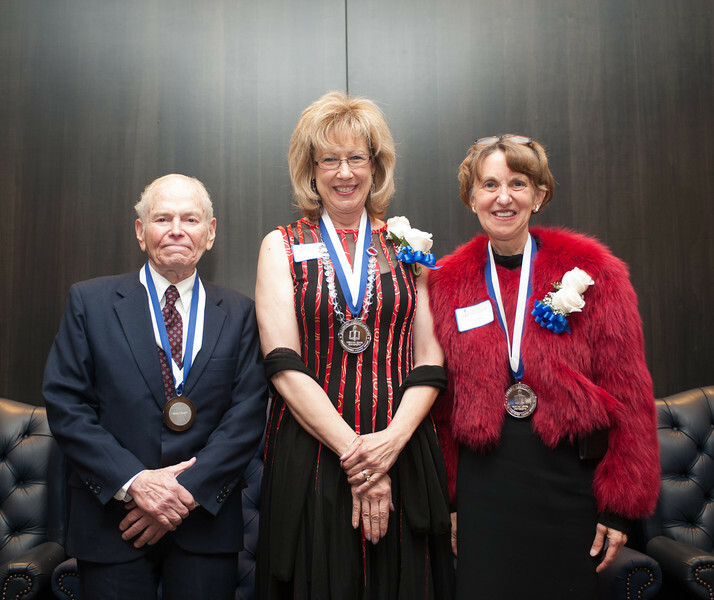 The ISU Alumni Association recognized retired movie producer Bernard Glasser, Oklahoma Supreme Court Justice Noma Gurich, retired educator and Tuskegee Airman Quentin Smith, and health care administrator Linda White as 2012 distinguished alumni.